join the Vintage Swings newsletter and recieve the latest news and information about our swing products. 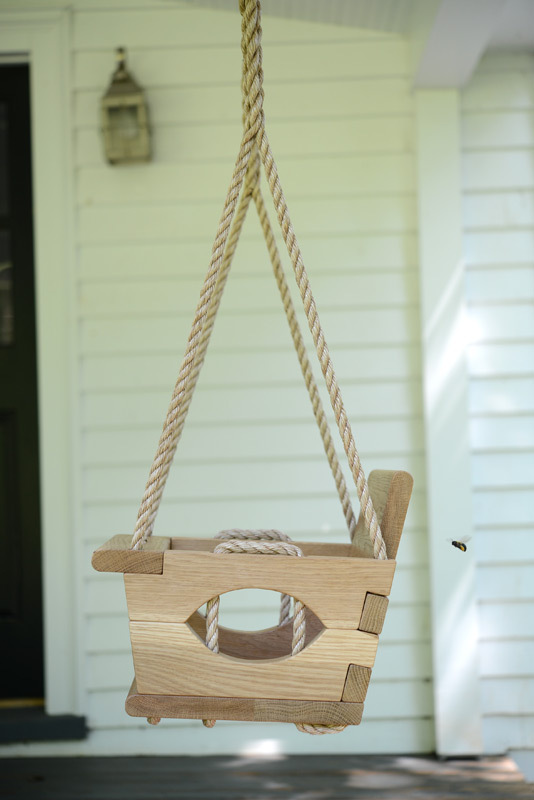 We're happy to introduce our new Toddler Swing. 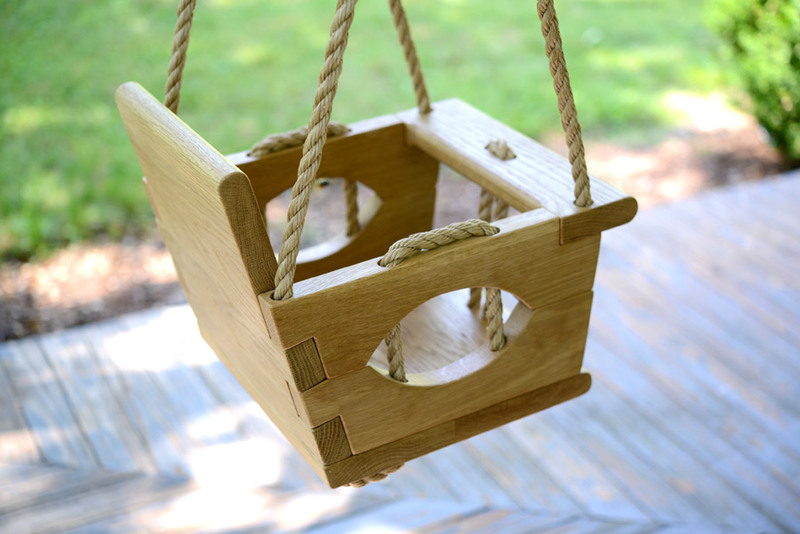 We also call it our 'puzzle swing' since it uses no fasteners in it's construction. Rather, it is held together by the weaving in-and-out of the rope. The rope concept is based on an antique we happened to glimpse an image of in our research. With several improvements for safety, comfort, and aesthetics, we have a completely unique design you won't find anywhere else. We took care in using the same principles we do in our other swings. 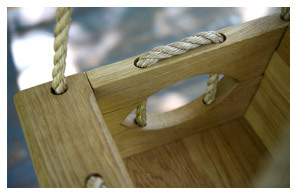 Using the same 1" thick White Oak, it is designed to be sturdy and of heirloom quality. 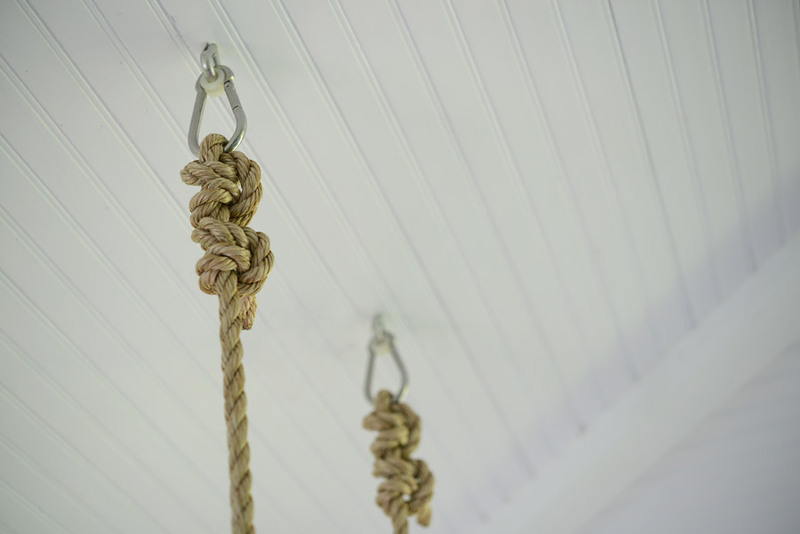 The rope is a chunky oversized 5/8" promanilla which is unaffected by water or chemicals. 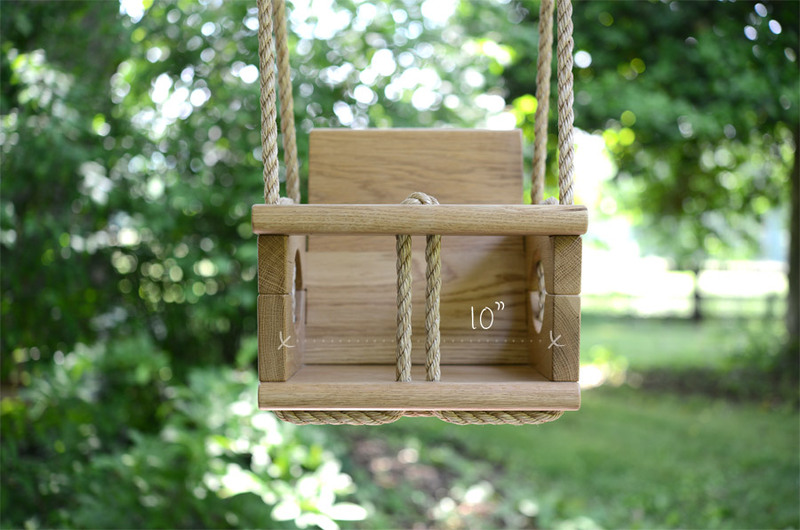 The swing comes with 12 feet of hanging rope so you'll be able to hang just about anywhere. 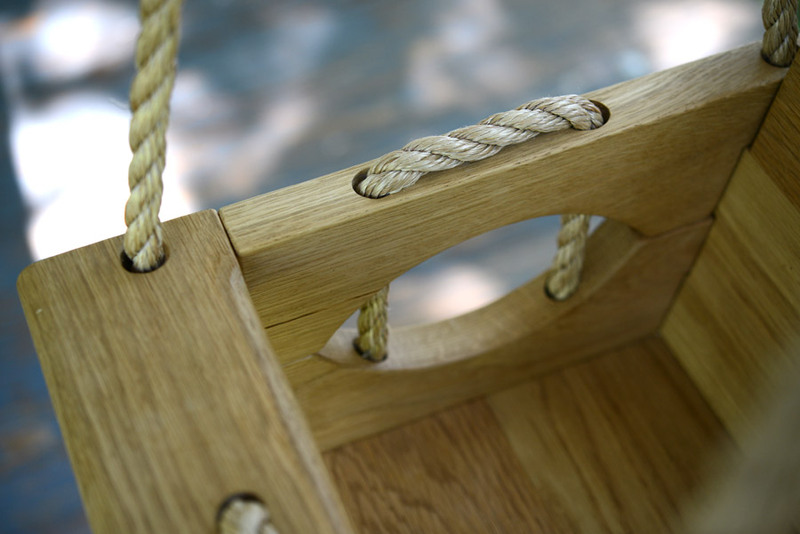 We are using a hand-rubbed non-toxic wax finish on our toddler swing. If used out of direct weather, the finish will last for quite a long time. If used in direct weather, the wood will eventually take on an antiqued grey patina. Ages: We recommend 1 to 3 years old. Don't forget to order hanging hardware. Sorry, but we are currently out of stock on these little guys. Not knowing when we will get them back in stock, so contact us if you are interested in one and we'll see what we can do.